Hearing a great new song from a favorite band is like seeing a dear, dear friend you haven’t seen in forever… an encounter ripe with emotional stirrings, some mild heart palpitations, and ultimately the music surrounding you like an embrace. There is comfort in the familiarity and excitement for what is ahead. 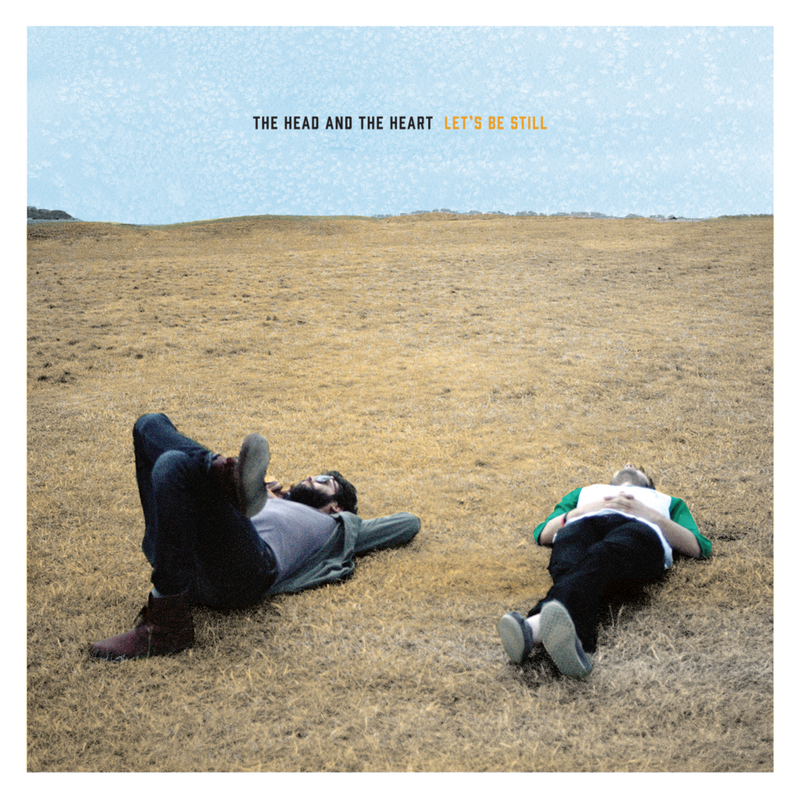 Drop everything – the first single for The Head and the Heart‘s sophomore album, Let’s Be Still, landed on the band’s homepage today. Initial impression: even with its snappy beat, Shake took a while to pull me in… the start feels very safe, very signature Head and the Heart, with a tap along sound and cheerful, carefree vocals. After their beloved debut, I guess if its not broken, why fix it? Once Charity’s songbird of a voice cut in and the harmonies started rolling through, layered on top of the building piano, I was hooked. Short post today because Thursday’s happy hour led to happiest hour. But great music comes in small packages. And sometimes there is clarity in early morning fog. I saw Capital Cities and Charlie (wait what) kill it at Public Works last night, and am continuing my music streak with Treasure Island this weekend, while perhaps squeezing in JFK of MSTRKRFT on Saturday night mid festival for good measure. Plus a dear friend in town to visit, and a 26th birthday in the midst of it all. This is going to be a good life. It has been too long since I have posted some THATH on TUATE, and as I gear up for their set on Sunday of Treasure Island, it only seems fitting to get another of their best embedded up in here and back in my ears. The scene: Wednesday night at the Bottom of the Hill, my best friend, Blue Moons, and my favorite band. I showed up at doors, chilled for an hour, impatiently listened to the openers, and then lost myself for a couple hours in a mind blowingly amazing show. It was the first time The Head and the Heart has headlined in SF, and due to our strategic early arrival, I was pressed up front right, so close to the speakers that my legs shook with the bass, watching hands slide on strings and socked feet hop about on the stage while occasionally convincing myself I had locked eyes with the lead singers. The show sold out weeks ago, and they showed us why. Before starting the last song Jon belted out that he was dying for a cigarette, so after last croon I booked it for the patio area, met the band, expressed my undying devotion, got snapshots, and found out that Charity is nice and shy and not in the least bit indie bitchy like I thought she might be. Then I bought too much merch, cabbed it home and went to sleep with a goofy grin, nestling into bed at one with guitar rifts still ringing in my ears. It is Wednesdays like these and the people I share them with that I will never forget when I am old and boring and thinking back when. These are the places I will always go. This is a new song and it is meant for a campfire. Josh McBride (also known as Seat Beside Me) was one of several unreleased tracks performed, and it was really something – smooth harmonies, trickles on keys, steady strumming and heartfelt vocals. Most of the audience hadn’t heard it yet because they don’t stalk THATH the way I do, and there was that “oh wow” moment of hush when it ended, like people had just experienced something great for the first time and were soaking it in. And then epic applause. I have been hungry for new Phoenix for some time now and thus forced to temporarily satiate myself with remixes. Luckily there is no lack of options. Classixx has a standout take on Lisztomania, and now UK DJ/producer Edwin Van Cleef has made a great go at it, twisting in female vocals from Jane Hanely to give one of the most remixed songs of the past few years new life. I’ve waited as long as possible to share a second THATH song, and it’s time. My favorite Seattle sextet closed both of their SF shows with this aching campfire worthy tune, and to be perfectly honest about my degree of emo, I teared up a bit the first time I heard it. The song’s lyrics, booming drum, and Charity’s raw, throaty voice embedded in the slightly off in a good way harmonies make it worth crying over.